Earlier this week Tim sent me this verse and said he'd like to know my thoughts. 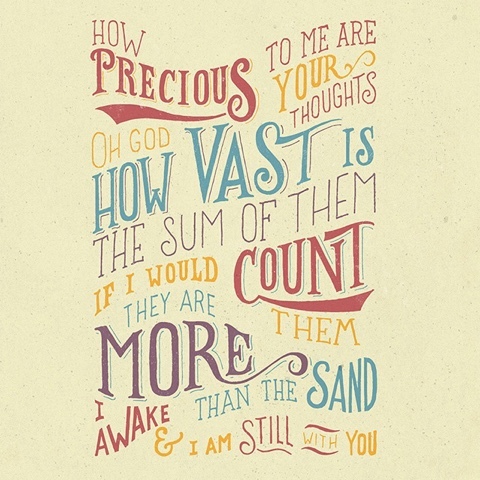 How precious are Your thoughts to me ... 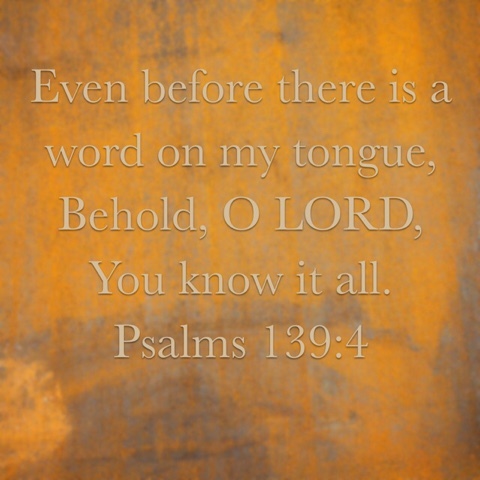 I haven't asked any commentators or pastors if this means the Psalmist is saying he loves God's thoughts as a whole, or if he is saying God's thoughts of him are precious. But after much prayer and meditation I think it is both. The Psalmist is David, who loved God's law. He sought God with all that was in him. David loved God's thoughts. Oh to be as in tune with them as he was. If it was attainable by David, merely human, then it is by us as well. I want to deepen my relationship with God to the point that I feel I am privy to many of His countless thoughts. One of the things I often ask Tim is "What are you thinking about?" I should be even more hungry to know the thoughts of my Lord and Savior. 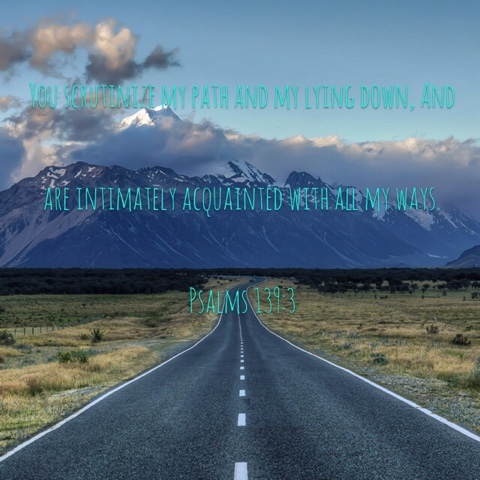 The rest of the Psalm, however, also indicates a two-way intimacy being described. David also knew God thought of him. God doesn't simply know what we did and where we went today. He is intimately acquainted with where we went, what we did, even the reasons we did. Never forget that God knows your heart. Your soul is familiar to Him - probably more so than it is to you. He is omniscient and omnipresent. No, I don't understand it. But He has provided the comfort of evidence to my forensic mind. Perhaps not scientific evidence I could present to you and convince you of His existence and His excellence, but proof enough to me that I find His presence, His knowledge of me, comforting. He knows what I will say before I say it, and I pray for strength and wisdom from Him for those to be the best things. I can't always understand. I love how David puts it ... It is too wonderful. It isn't that it is confusing or confounding ... His thoughts are Holy. Pure. Overarching this tapestry we traverse in ways our finite minds can't wrap themselves around. He knows me. He knows my motivations. He knows the outcomes. And He loves me. Enough to send His Son to die for me so He in His wonderful, incomprehensible Holiness, can have a relationship with me. He washes me clean so that I can share His thoughts. He knows it all, and I am grateful. I am not afraid. I do not feel exposed ... No! Like Gomer I feel covered. Loved. His thoughts to me and of me are precious indeed.